It’s never too early to carve out your path to success. Start to think, act, and communicate like a leader to get the promotion you ultimately want. 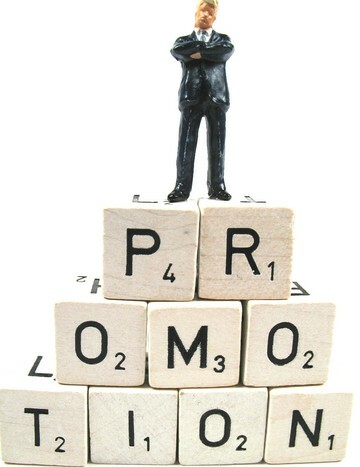 Even if you’re still several levels away from your dream promotion, there are numerous ways you can get on the path of your dreams, claims Amy Gallo. In her Harvard Business Review article, she provides tips for doing just that. Excel in your current role – No matter how big your ambitions, you still have to deliver results today to be considered for future opportunities. Focus on the present as much as, or more than the future, so no one can ever question your performance. Help your boss succeed – You have to execute on your boss’s priorities too, and if you can make your boss look good, you’ll look good. Find out what keeps your manager up at night and propose solutions to those problems. When asked to help with something, lean towards saying yes. Seize leadership opportunities – Look for every opportunity, no matter how small, to demonstrate leadership to signal you have potential. This will give others a taste of what you’ll be like in a more senior role, and these activities send the signal you aspire to leadership. Look for problems others don’t know exist or aren’t willing to take on – Every organization has needs nobody is paying attention to, or people are actively ignoring. When you take on a task that no one else is willing to do, you prove your potential and make yourself stand out. Prove your leadership skills – There’s a fine line between ambition and arrogance, so don’t cross it. Aim for humble confidence – showing appropriate modesty in your role, while having the self-assurance to know you will rise to the next level. Be cautious when sharing your ambitions – It’s appropriate to raise your ambitions with your manager if you have a trusting, solid relationship, but make sure to frame them in a way that focuses on what’s best for the company. Gain feedback on how you can continue to make strategic contributions to the business. Find role models – Learn from others’ successes and failures. Find individuals who have the roles you want and learn from them. Identify behaviors you can emulate while being true to yourself, but don’t forget to look at those who are stuck in their career as a lesson of what not to do. Begin preparing for your new role no matter how many years away it is or where you are in your career. Not only does the planning help you develop the necessary skills and leadership presence, it also increases your chances of getting the promotion because people will already recognize you as a leader. The key is to take on opportunities to demonstrate leadership now, regardless of your tenure or role.